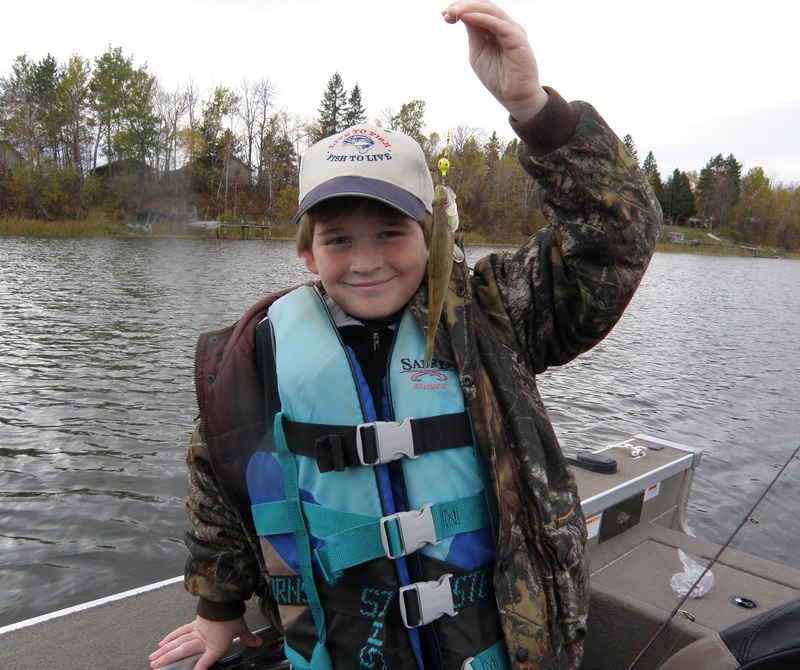 Steve and Scott are in Baudette for a few days; it’s Scott’s Fall school break and we are happy to have them here. They arrived early Sunday afternoon not much before the pancake breakfast was finished at the senior center. It wasn’t long after that and we were in the boat heading upriver for a couple of hours of late afternoon of fishing. There have been reports of heavy minnow runs, but river fishing remains spotty. For every good report, there is one that’s not so good. 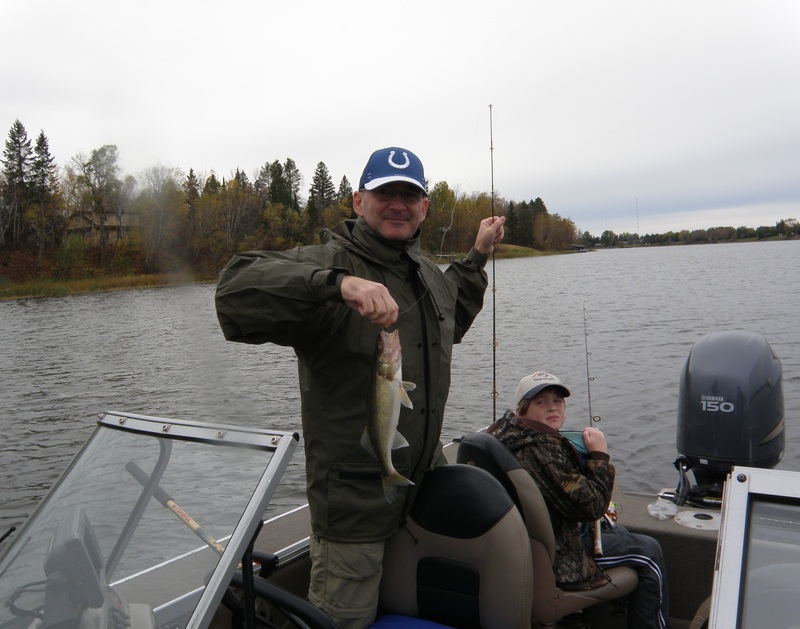 Everybody talks about all the little walleyes (5″-6″) that are biting and stealing bait. We fished for a little over two hours and were pestered constantly by those little walleyes, but did manage to catch and keep three nice walleyes and three saugers. Diane also caught two small pike that we released. There was an awful wind the past few days and if we can get a day with light wind, we may head for the lake. Fishing on the lake has been consistently good.